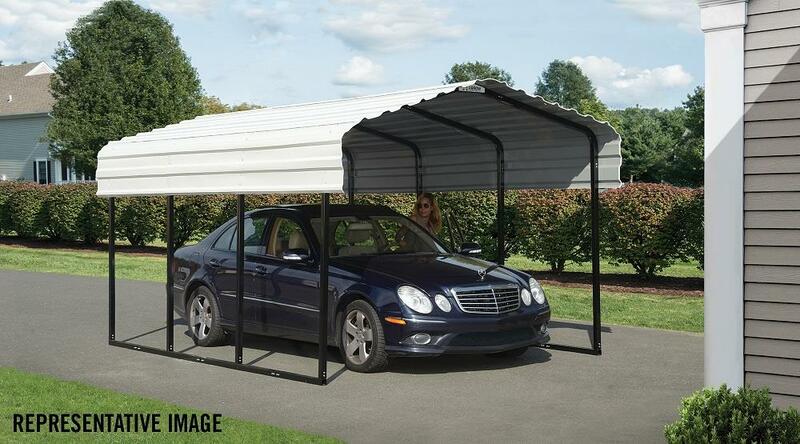 Shelter Logic Arrow Storage All Weather Steel Carport 12' x 24' x 7' CPH122407 - California Car Cover Co. 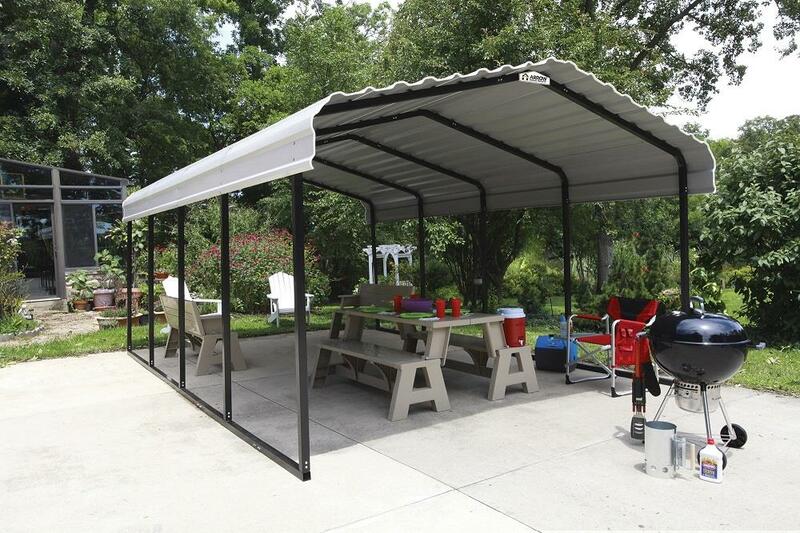 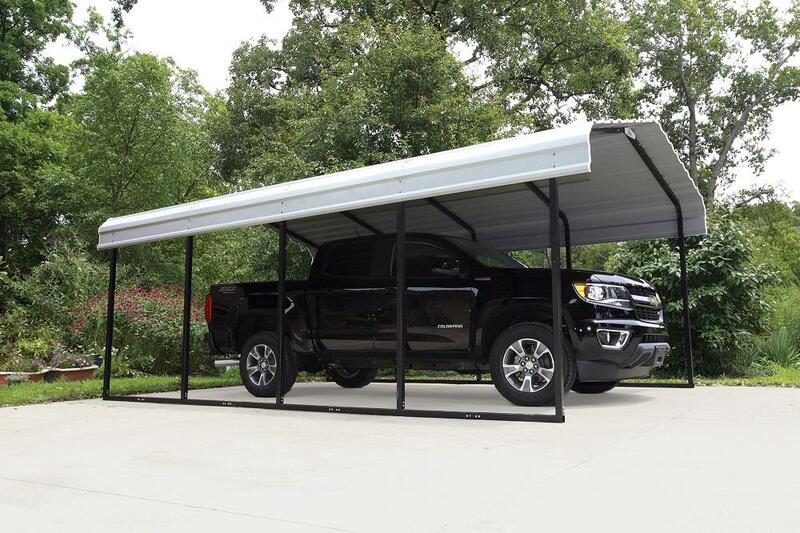 The all-steel 12' x 24' x 7' Carport from Arrow is a convenient, all-weather shade and shelter solution that’s versatile and practical. 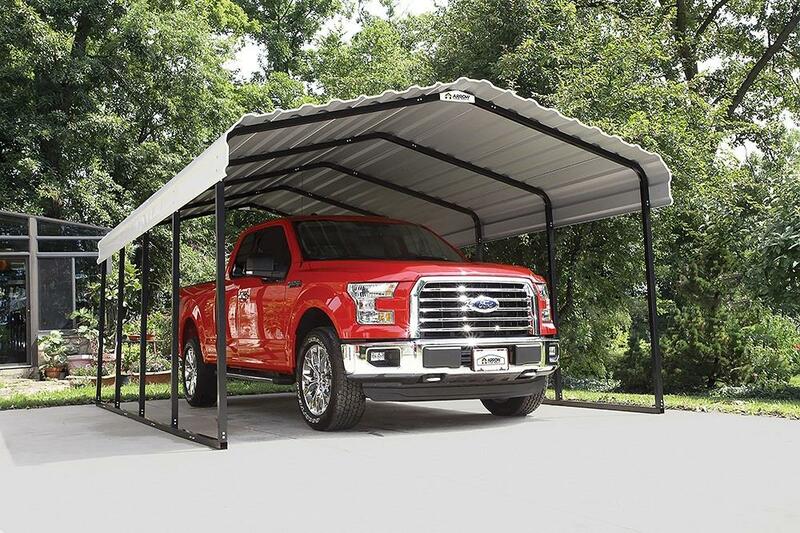 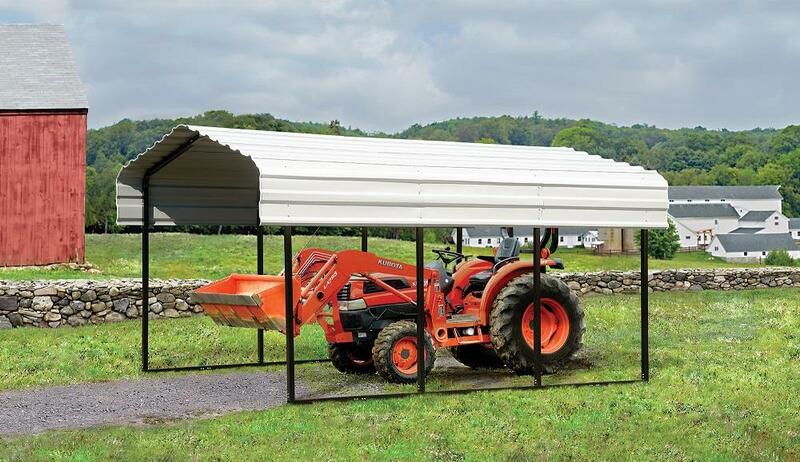 The carport features a galvanized steel roof with horizontal panels, and an industrial steel frame that has been powder coated to resist corrosion and rust. 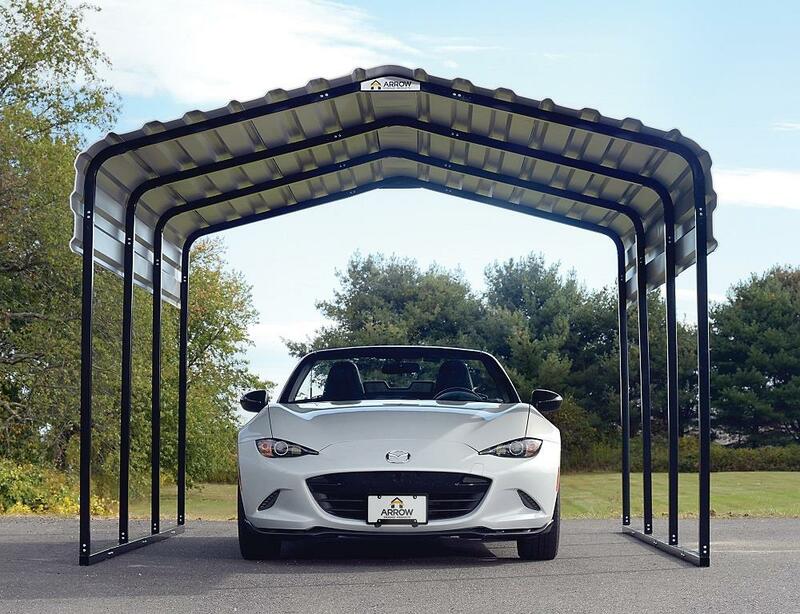 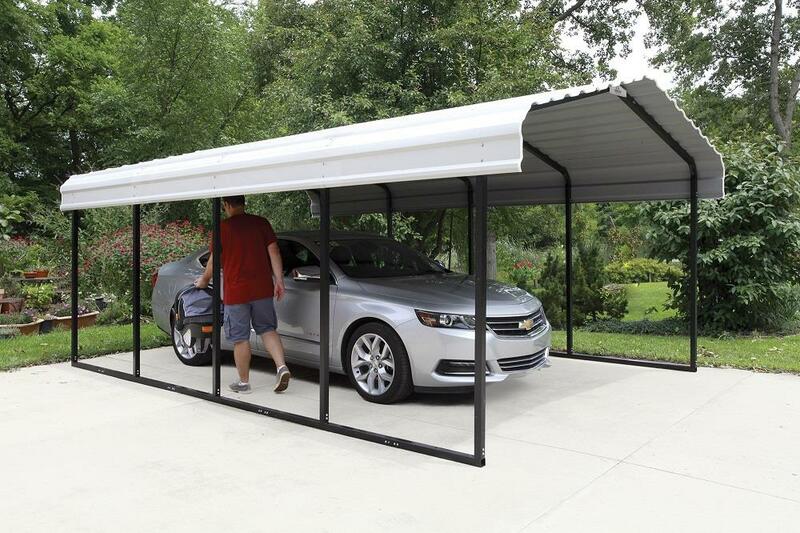 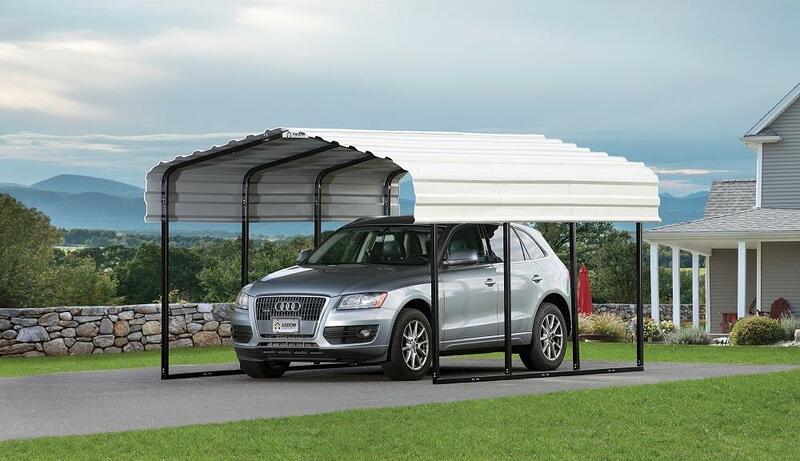 This Carport has a wind speed rating of 100 MPH and a snow/ground load rating of up to 35 PSF. 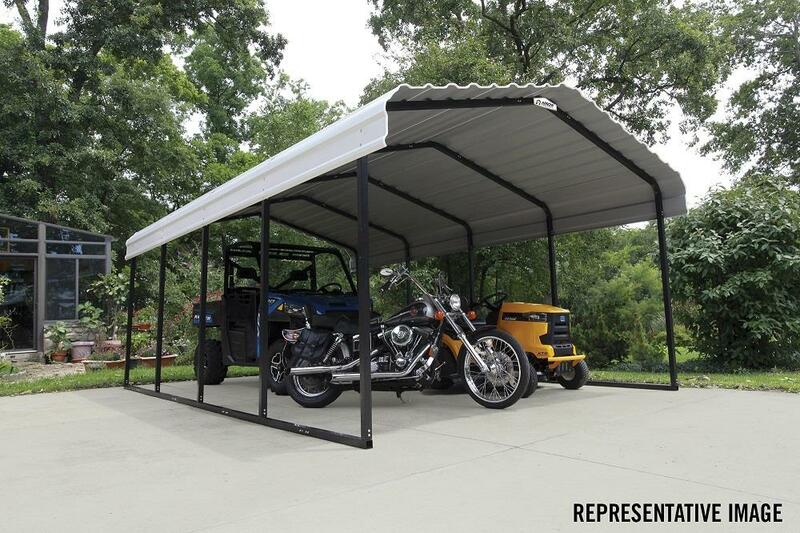 Perfect for protecting your vehicle, truck, boat, ATV, and outdoor equipment. 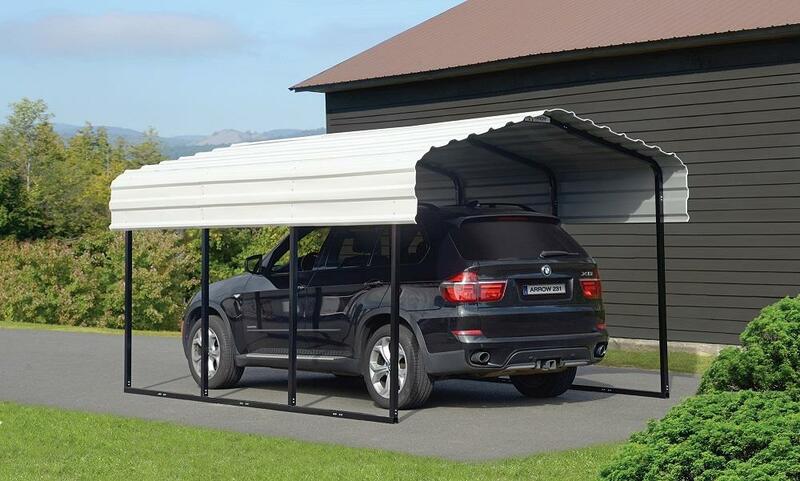 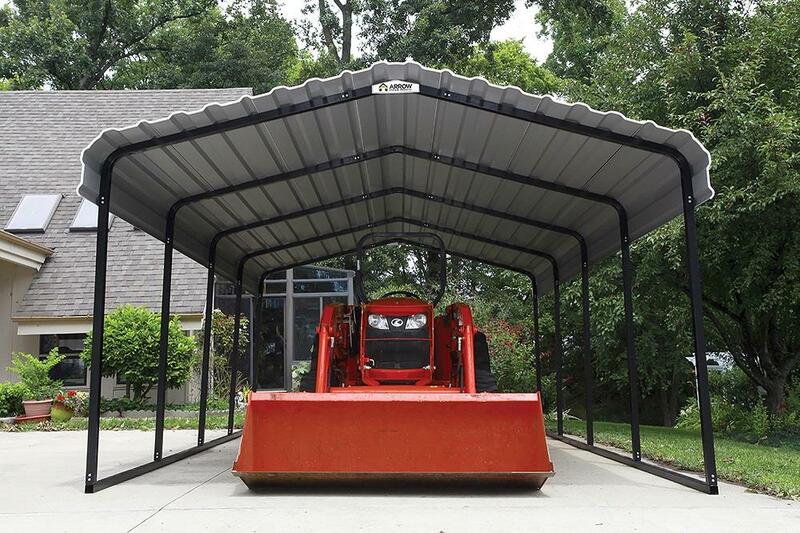 Easy to install, the Carport comes with slip-fit connections with pilot holes and self-drilling screws making this unit easy to build straight out of the box. 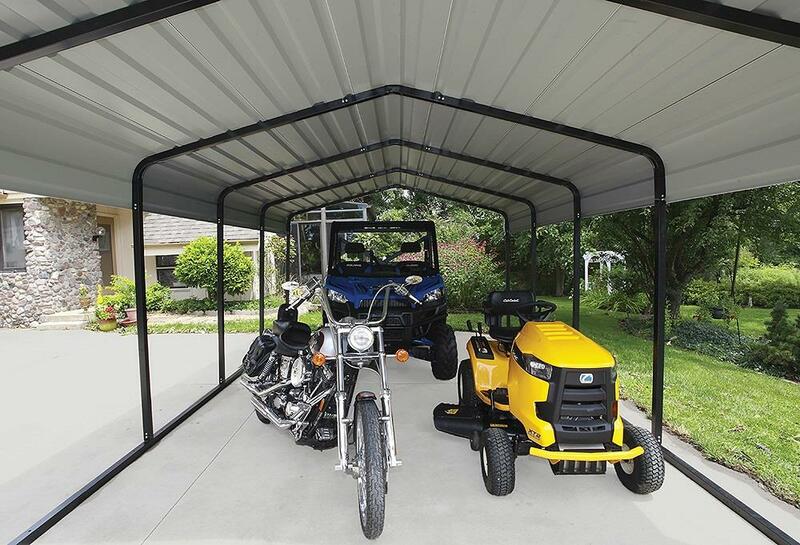 10-year warranty. 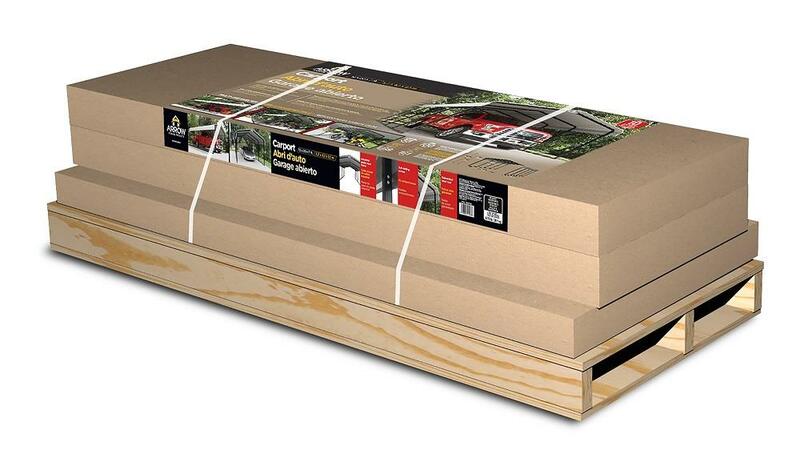 Ships via trucking company, and oversize shipping rates apply.